Chemotherapy is a painful procedure. Add to this hospital visits (one or twice every month) and the cost of each session (Rs 20,000 to over Rs 1 lakh a month). And the fact that the treatment can continue for six-eight months, maybe more. Just imagine the time, money and effort involved in all this. But what if the treatment is administered at home and that too at a lower cost? Home care services, already a $75 billion industry in the US, have caught the fancy of Indian start-ups as well as big players such as Max Healthcare and Dabur Ltd promoters. In India, the industry is estimated to be worth $2-4 billion. Home care companies provide attendants, nurses, physiotherapists and doctors at home to take care of senior citizens as well as patients after surgery. They employ people who can carry out medical procedures such as chemotherapy and dialysis at home. Some also provide medical equipment and furniture. We discuss some of the most common services offered. Post-surgery care: After surgery, most patients remain in hospital under observation. If they are discharged earlier and rehabilitated at home, they will save a lot of money. The hospital, too, will make more money by giving the bed to someone else. There is another benefit too. "There is a drop in compliance to the treatment plan after discharge from hospital. 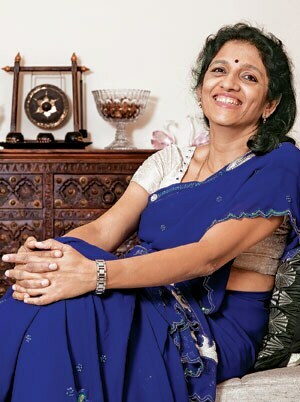 A home care service provider can provide support at home," says Meena Ganesh, co-founder and CEO, Portea Medical, a home care service provider. Post-surgery services include pain management, intravenous antibiotic therapy, diet monitoring, wound care and physiotherapy. In most cases, this requires the expertise of a nurse or an attendant. If provided at hospital, the bill may include doctor's fee (at times for just stopping by and enquiring about your well-being), room rent and cost of food. At home, you can cut down the cost of room rent and food. "The savings can be 10-20% depending on the surgery," says Ganesh. Chronic care: Non-communicable diseases (or chronic diseases) account for 40% hospitalisation cases in India. These include coronary heart diseases, chronic respiratory diseases, cancer and diabetes. If not managed, these can sharply increase costs. So, chronic care is an important aspect of the health care system. Given the need for expert day-to-day care, getting these services in a hospital means regular visits, even a short period of hospitalisation. This is inconvenient and costly. As an alternative, home care providers offer services such as day-to-day disease management, regular observation, pain & diet management and counselling and carry out procedures such as chemotherapy and dialysis. "We offers services in managing chronic obstructive pulmonary disorders and asthma, neuro problems and chronic congestive heart failure. 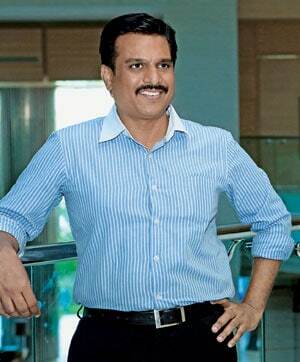 We also offer post-operative wound management for diabetics and home physiotherapy for pain management and rehabilitation," says Vishal Bali, co-founder and chairman, Medwell Ventures. Medwell offers services under the Nightingales brand, which it acquired recently. Nightingales earlier used to serve only senior citizens. "Our effort is to reduce recurrent hospitalisation cost by 20-30% every year for patients with chronic diseases. Our one-month package for severe stroke recovery is Rs20,000 as against the hospitalisation cost of Rs 5,000 a day," says Bali. Geriatric care: Life expectancy is rising in India, thanks to improved health services. The population of those aged 60 and above will increase from 8% at present to 12% by 2025 and 18% by 2050. Taking care of ageing parents is already an major issue given the shrinking size of families. So, home care providers also offer nurses and trained attendants and, if needed, doctors to take care of senior citizens. Infirmity can restrict a person's movement in old age and he/she may need help for bathing, dressing, eating, medication and mobility. V Thiyagrajan, co-founder, India Home Healthcare, which provides care givers, says earlier the company used to hire nurses but later realised that helping the elderly in mobility, eating, bathing, mediation, etc, does not require their expertise. "So, we started hiring people who would otherwise work as domestic helps. They are trained for three months before being deputed," he says. India Home Healthcare charges Rs 18,000 a month for a trained caregiver (12-hour shift). The caregivers double up as companions for older people who are unable to move out of their bed or homes. However, depending on the need, care providers also arrange visits of doctors, nurses and physiotherapists. Care to new mothers, new borns and other services: Both new borns and their mothers need a lot of care. While at hospital they are taken care of by the staff, some service providers offer similar care at home after discharge. Some also offer services for children born with disabilities, including training and counselling. Other services include collection of samples for tests, delivery of medicines, physiotherapy and sale and renting of medical equipment. Domiciliary Treatment: This refers to treatments done at home which otherwise need hospitalisation. "We cover domiciliary or home care only if there is a physical condition due to which the patient cannot go to hospital or there is non-availability of room," says Roopam Asthana, chief executive officer and director, Liberty Videocon General Insurance. 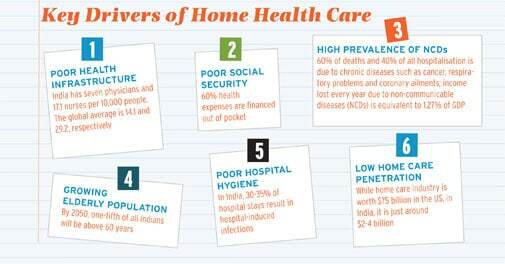 Max Bupa Health Insurance covers home care services for the elderly if prescribed by a doctor. It also covers home care under domiciliary treatment. Some insurers cap the cover under domiciliary treatment. For example, Religare Health Insurance covers domiciliary treatment up to 10% sum insured. That means if the sum insured is Rs 3 lakh, it will pay an expense of up to Rs 30,000 on domiciliary treatment. Day care treatments and OPD: Some medical procedures can be done without the patient having to stay in a hospital for 24 hours (the basic criterion for getting covered under an indemnity plan). Some common day-care procedures include cataract surgery, hemodialysis, chemotherapy and radiotherapy. Some insurers cover only a few home services under the OPD category. Cigna TTK provides health maintenance benefits ranging from Rs 500-15,000 a year for consultation, nursing care, pharmacy expenses, diagnostic tests and physiotherapy under ProHealth plan. "Under the Global Health Group Plan, we also cover home nursing up to the full sum insured irrespective of whether it is associated with hospitalisation or not," says Sandeep Patel, CEO, Cigna TTK Health Insurance . ICICI Lombard also covers some home care treatments under OPD. "Some services like physiotherapy, consultation, routine diagnostics, etc, can be covered in the OPD category," says Sanjay Datta, chief, underwriting & claims, ICICI Lombard General Insurance. Pre- and post-hospitalisation: Medical expenses before and after hospitalisation are covered by all insurers. The expenses should be due to the illness that led to hospitalisation. The period of pre- and posthospitalisation coverage differs from insurer to insurer. For example, Religare Health covers expenses of up to 30 days before and 60 days after hospitalisation, while Cigna TTK covers expenses up to 90 days before and 180 days after hospitalisation. "Our Care policy covers 30 days pre-hospitalisation & 60 days post-hospitalisation expenses; this applies to any treatment availed of by the insured pertaining to the ailment for which she has been hospitalised and is limited to the sum insured," says Anuj Gulati, MD & CEO Religare Health Insurance Company. Home care services such as post-surgery and chronic care can be covered under this category. Other than the above, some home treatments are covered as part of value-added services by Bajaj Allianz General Insurance. "Any Bajaj Allianz Health Insurance policy holder can avail of discounts with some home care service providers with whom we have a tie-up," says Renuka Kanvinde, associate vice president, health insurance, Bajaj Allianz General Insurance. 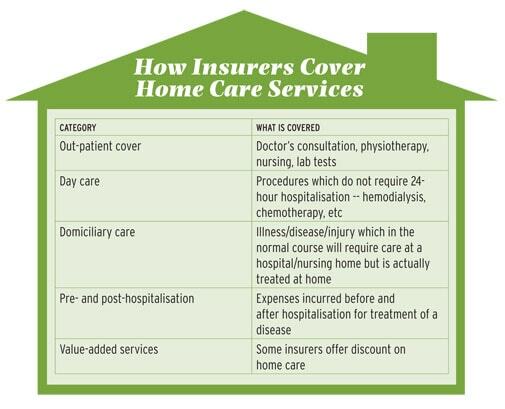 Though companies and medical fraternity talk about insurance beyond hospitalisation, it seems insurers are still apprehensive about covering home care as a separate category. Kanvinde of Bajaj Allianz says that there is need to first standardise basic health services covered by insurance; home health care is not even on the radar of companies. She says the country needs to develop an effective accreditation system for hospitals and doctors before we can think of home health care. "While home care can be instrumental in managing clinical pathways to enable better outcomes and reduce costs, standardisation with some basic protocols, including empanelment of doctors, is a key requirement," says Somesh Chandra, COO and chief quality officer, Max Bupa Health Insurance.